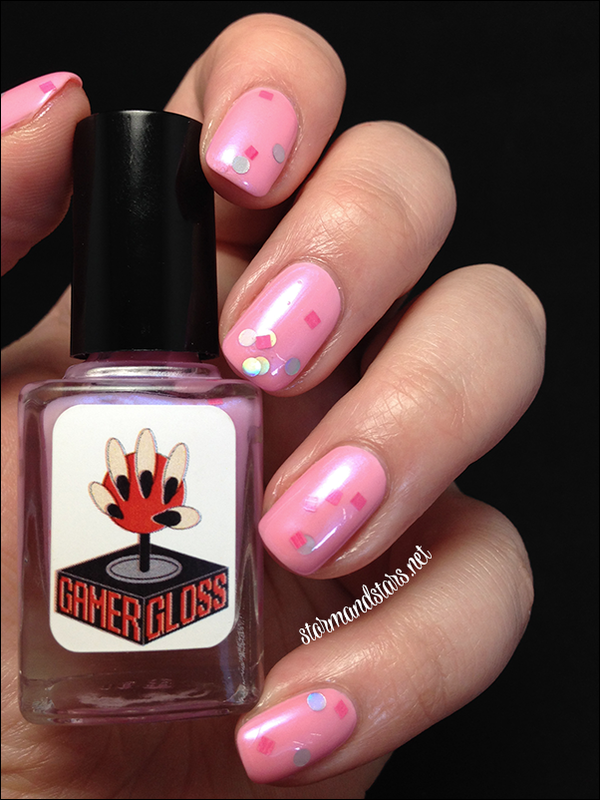 Today I have a lovely collection for you from Gamer Gloss! 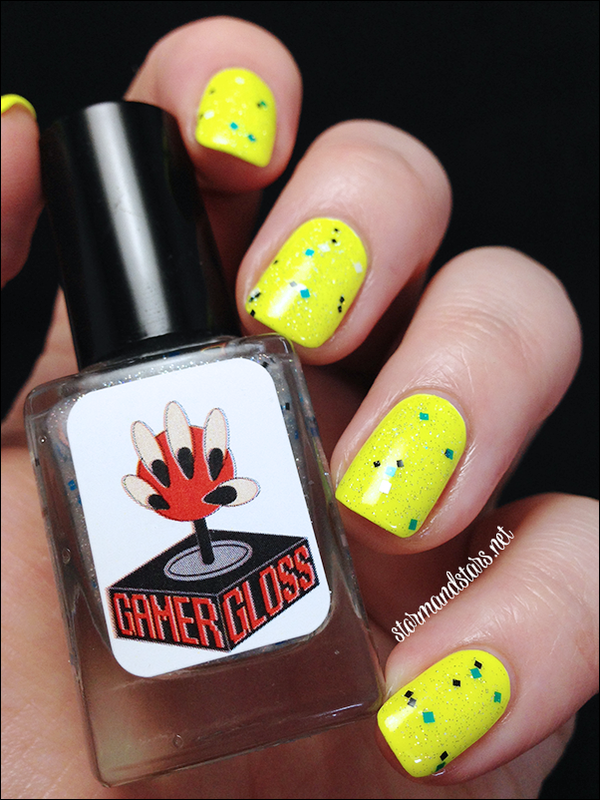 This collection is inspired by Minecraft and is a mix of glitter filled jelly finish lacquers. There are three glitters with a colored jelly finish and one scattered holographic topcoat with added square glitter. Most of them were quite sheer, so I layered them over some like-colors to show them off. The first lacquer in this collection is Keep Calm, Creep On. 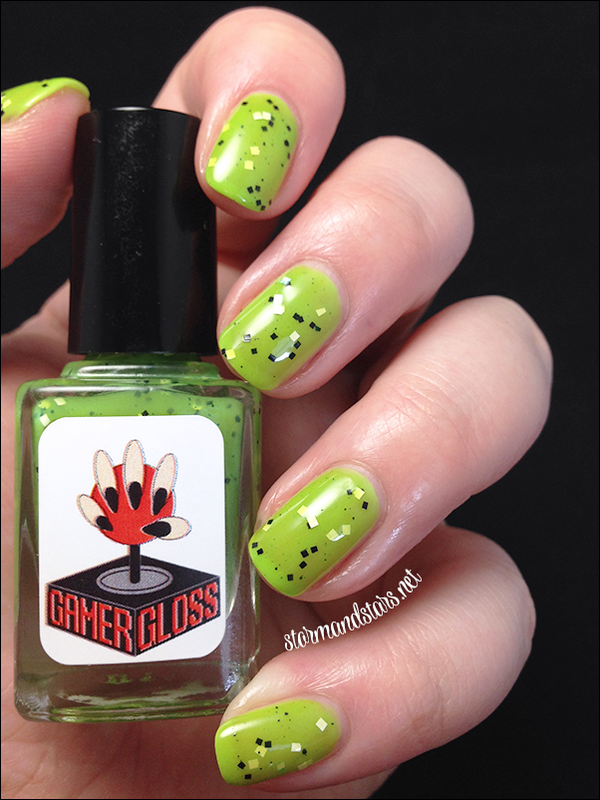 Keep Calm, Creep On is a green jelly with black and white square glitters. It dries to a very shiny finish. 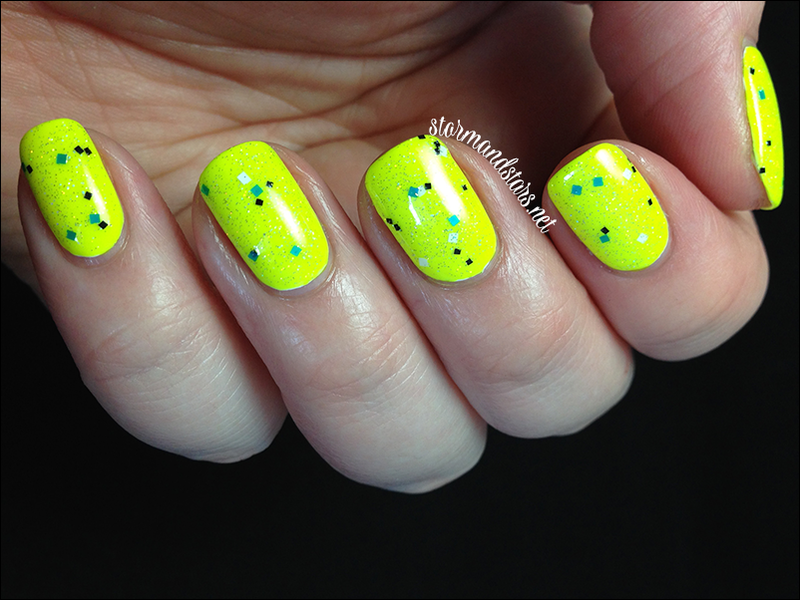 I layered two coats of Keep Calm, Creep On over Wet n Wild Stand The Test Of Lime for these images. All photos are with NO topcoat. I found the formula on this one great, though there was some unmixed pigment throughout the bottle. Diamonds Ore Forever is my favorite in the collection. This is a scattered holographic glitter topper with white, black and blue squares throughout. There is a ton of scattered holo in this though it didn't want to show in my images. 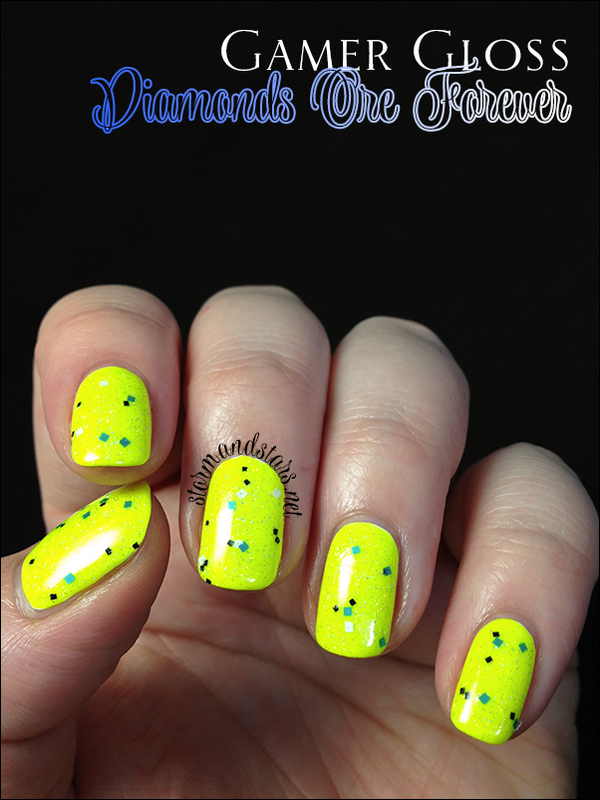 I layered two coats of Diamonds Ore Forever over Wet n Wild Pin 'Em Slater for this bright sparkly look. I found the formula fantastic, and it dried super shiny. I didn't even use topcoat. 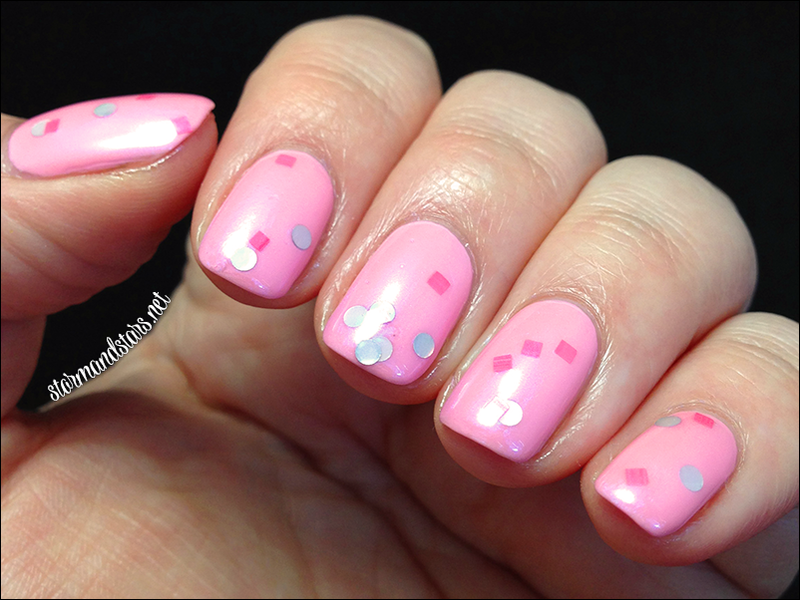 Pork Chop is a shimmery lavender leaning pink sheer lacquer with pink squares and silver round glitter. I had a lot of trouble with the formula on this one. The polish itself was very thick and it made getting the glitter on my nails difficult. 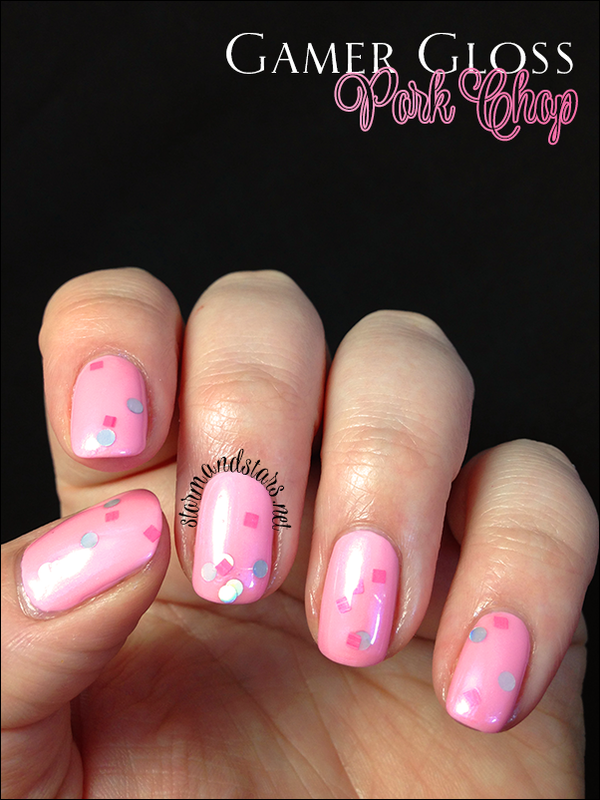 I placed most of the glitter and then used about two coats of the Pork Chop over Wet n Wild Tickled Pink. 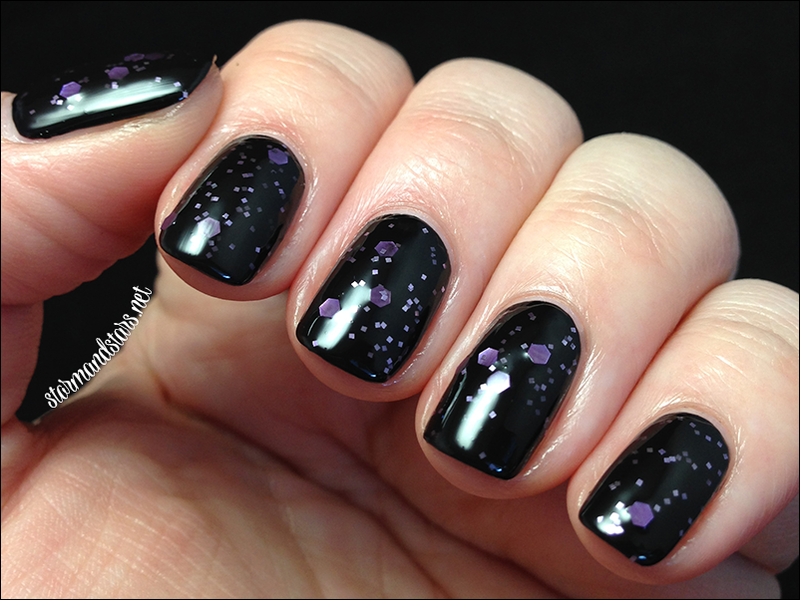 I topped this one with a coat of Seche Vite. Last up from this collection is Don't Ender-Estimate Me. 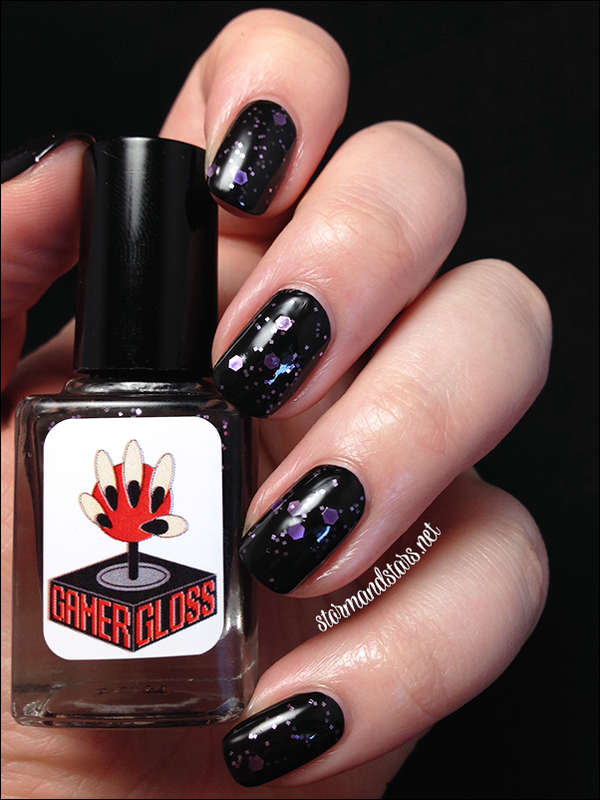 This pretty lacquer is a black jelly base with tiny purple square glitter and larger purple hexes in the same color. It dries super shiny. I love the subtleness of the purple throughout this black jelly. 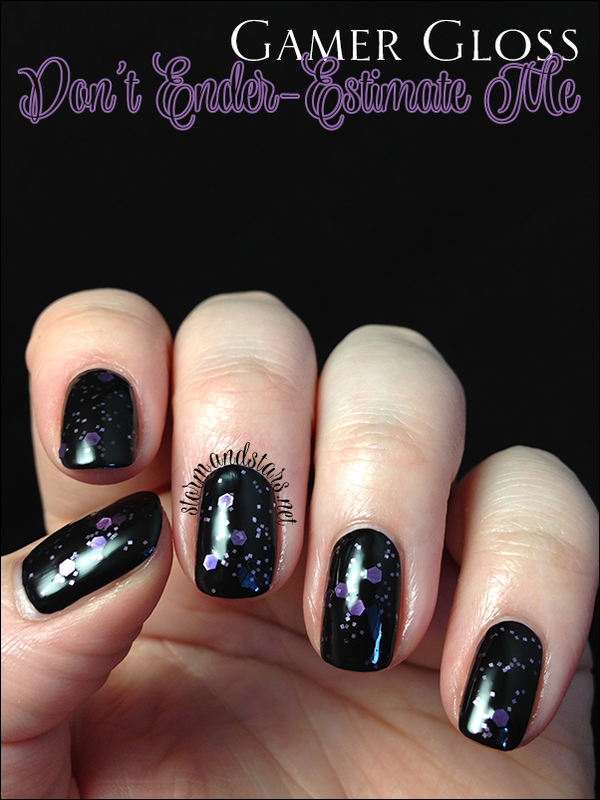 I layered two coats of Don't Ender-estimate Me over Milani Black Swift for these images. Overall, I loved the colors in this collection. They stood alone and yet also worked well as a collection. My favorites were Diamonds Ore Forever and Don't Ender-Estimate Me.